A Twitter battle broke out Monday between President Donald Trump and Rep. Adam Schiff, a Southern California Democrat who serves as his party’s ranking member on the House Intelligence Committee. The underlying issue was the memo that the panel’s Republicans released on Friday after Trump approved making it public despite entreaties from the FBI and Justice Department to keep it classified. 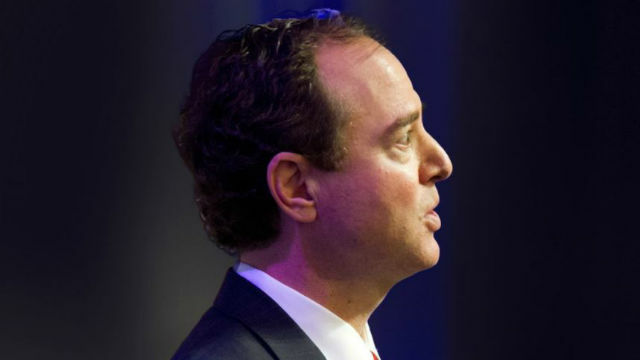 “Little Adam Schiff, who is desperate to run for higher office, is one of the biggest liars and leakers in Washington… Adam leaves closed committee hearings to illegally leak confidential information. Must be stopped!” tweeted the president. Schiff responded in kind, tweeting: “Mr. President, I see you’ve had a busy morning of “Executive Time.” Instead of tweeting false smears, the American people would appreciate it if you turned off the TV and helped solve the funding crisis, protected Dreamers or … anything else. Schiff is expected to call for a vote Monday afternoon for the Intelligence Committee to release a Democratic rebuttal to the classified memo, which accused federal officials of abusing their power to investigate people involved in the Trump presidential campaign.